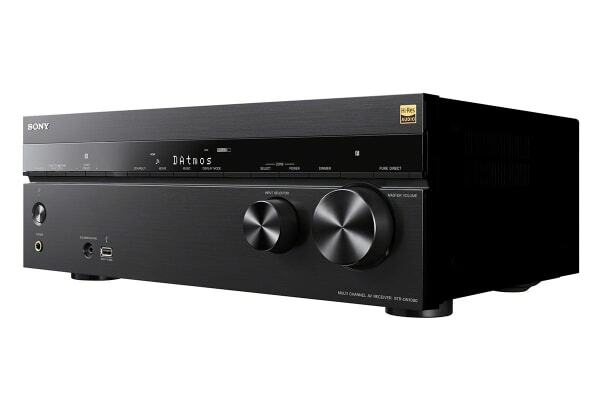 Enjoy the subtle nuances of studio-quality sound in higher-than-CD quality with the Sony 7.2 Channel Home Cinema AV Receiver. Featuring flexible speaker solutions, it delivers mighty, cinematic surround sound that perfectly adapts to your environment. 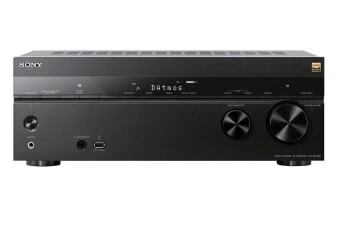 The Sony 7.2 Channel Home Cinema AV Receiver has been designed with flexible speaker solutions that work around your environment, so that you get the best audio experience whatever your setup. Get the real deal with a full-fledged 7.2 channel surround speaker system and enjoy movies with full aural impact like at the theatre. By supporting High Dynamic Range (HDR) signal pass-through, you can enjoy the incredible jump in image contrast and brightness it brings – and the additional shadow detail and highlights further enhance picture detail and brings colours to life. Latest HDR standards such as HDR10, HLG (Hybrid Log-Gamma) and Dolby Vision are supported. Maintain 4K quality from source to screen – the 4K pass-through feature allows data to pass through the receiver without compromising image quality and is HDCP 2.2 compatible. Dolby Atmos delivers breathtaking realism with 360deg surround sound, accurately positioning sound within your environment so that the 7.1.2 speaker channels (including Phantom Surround Back) completely envelop you in sound. DTS:X decoding delivers multi-dimensional surround sound that adapts to your speaker configuration in real time. The Phantom Surround Back speaker setting replicates the immersive sound of physical surround back speakers, enabling you to enjoy a 7 channel surround sound experience with only a 5 channel speaker setup. Chromecast built-in makes a direct connection to the streaming service, so your smartphone battery lasts much longer than it would over Bluetooth connection. 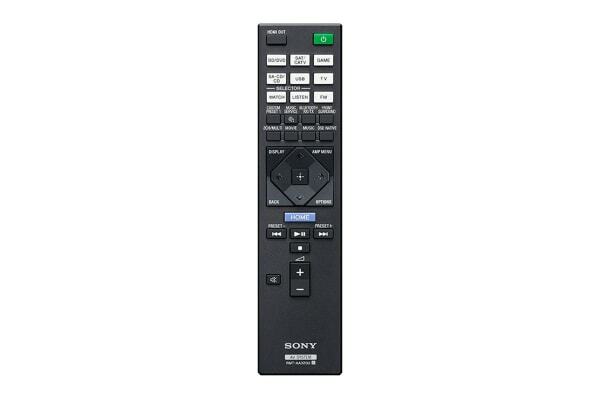 For a truly dynamic home entertainment setup, there are six HDMI inputs and two outputs, a front USB port, optical digital and analogue AV connections. So you can connect your TV, Blu-ray Disc player, smartphone and more, quickly and easily. Enjoy simple wireless listening with One-touch NFC. Just touch a compatible smartphone to the receiver for Bluetooth audio. With six HDMI inputs and two HDMI outputs – including one second zone HDMI output, there’s space for your current equipment and scope to expand.